Slovakia becomes the 16th member of the eurozone on 1 January, when it trades in the national currency, the koruna (crown), for the euro. The path to the euro has not been smooth, but Slovakia - unlike neighbouring Poland, Hungary and the Czech Republic - could be about to reap the rewards at a time of great financial turmoil, the BBC's Rob Cameron says. There is a number slowly being etched onto the minds of the Slovak people. You see it everywhere: on billboards and posters, on supermarket shelves and shop windows, in banks, post offices, pubs and restaurants, from Stary Smokovec in the High Tatras to Komarno on the banks of the Danube. It's not an easy number to remember, but it's important. It's the official conversion rate for the euro, and virtually every Slovak knows it by heart. "I'm kind of like Santa Claus," says Martin Hudec, as he tosses fistfuls of chocolate euro coins to the children gathering around his converted blue van. 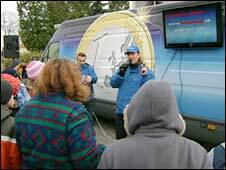 The van is called the Euromobile, and for the past 100 days Martin - a 33-year-old actor from Bratislava - has been travelling across Slovakia, spreading the monetary message to rural towns and villages. The Euromobile is part of a comprehensive PR campaign run by the Slovak finance ministry. Tvrdosovce is a rather forlorn place in the Hungarian-speaking lowlands of southern Slovakia. A small crowd has braved the icy winds buffeting the Danubian plain to watch Martin's multimedia performance. Martin and his assistant unpack speakers and a flat-screen TV. Using songs and videos, he explains to the villagers what the new euros will look like, the price of a loaf of bread, and where in Europe they can use them. Correct answers in the quiz that follows are rewarded with T-shirts, "euro-calculators", and more handfuls of chocolate euros. The children of Tvrdosovce seem enthusiastic about the new currency. The older people less so. "It was easier to get used to the old crowns," says one middle-aged woman outside the post office. "As for these new ones - these euros or whatever they're called - we're all afraid how we're going to get used to them. All of us." Another, older town resident is more philosophical. "It's going to be difficult for us old people to get used to the new money, but I've already bought one of the starter packs - 500 crowns' worth of Euro coins. "I know what they look like. Now I just have to get used to them." Back in Bratislava, the government's euro co-ordinator Igor Barat is frantic with last-minute meetings and phone calls, but brimming with confidence. "We are 100% ready. Everything is done according to the changeover plan, according to all the rules and regulations from Brussels and Frankfurt," he assures me, glancing at his watch ahead of his next meeting. "We are really ready, in all aspects, from cash front-loading to the information campaign to the conversion of IT systems. Everything is ready," Mr Barat adds. The changeover plan will see euro banknotes appear in Slovakia's cash machines shortly after midnight on 31 December. Slovak crowns will cease to be legal tender on 17 January 2009, although banks will continue to exchange notes and coins until the end of 2009. After that point, crowns can only be exchanged at the Slovak National Bank in Bratislava. "Starter packs" of Slovakia's newly-minted euro coins sold out in days, with many people snapping them up as Christmas presents. The coins feature images of Bratislava Castle, Mount Krivan in the High Tatras, and the Slovak double cross, the country's national symbol. 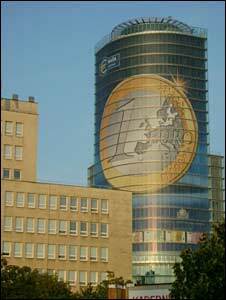 Slovak euro coins do not become legal tender until 1 January 2009, however, and using them in the eurozone before then could earn you a hefty fine. Heavy sanctions also await those businesses who attempt to raise prices under the guise of euro adoption. Slovakia's leftist Prime Minister Robert Fico has promised to crack down hard on any such offenders. Slovakia is, of course, beginning to experience the effects of the global financial crisis. But thanks largely to the efforts of the previous centre-right government (which also carried out most of the painful and unpopular fiscal surgery necessary for euro adoption), the country now boasts a huge amount of foreign investment. Those investors are starting to feel the pinch, as demand for exports falls. Euro adoption, however, could mean Slovaks are far better placed to weather the current financial storm than their cousins in Poland, Hungary and the Czech Republic. "Eighty-six percent of Slovak exports go to the countries of the European Union," says Vladimir Vano, chief analyst at the Bratislava branch of Austria's Volksbank. "Over half of the country's exports go to countries using the single European currency. 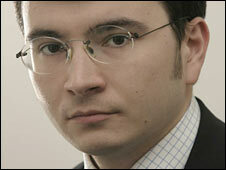 So for Slovakia, euro adoption will be an additional, natural step in these difficult times," he explains.